Has Your Land Been Invaded? They burned every place where God was worshiped in the land (NIV). This is a psalm that was born in a time of disaster and distress. The enemies of the people of God had triumphed. 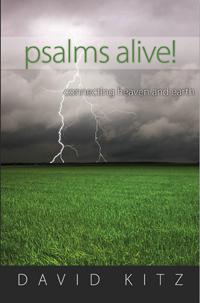 In reality Psalm 74 begins as a lament as the psalmist calls out to God with these words. Turn your steps toward these everlasting ruins, all this destruction the enemy has brought on the sanctuary. Foreign armies had invaded the land. Not only had they attacked the people of God, they had desecrated God’s sanctuary. They burned your sanctuary to the ground; they defiled the dwelling place of your Name. It may be hard for many of us to imagine the destruction of war and the invasion of our country by foreign forces. But on the spiritual level our land has already been invaded and the attacks on the sanctuaries of God are unrelenting. Take a walk or a drive about any large city in Canada and you will see abandoned church buildings. Some have been turned into concert halls or night clubs. Today, this statement describes our present reality. Your foes roared in the place where you met with us; they set up their standards as signs. Sadly, in many places the standard of the cross has been replaced by standards of hedonism and human pride. This would be easier to fathom if this was the work of some sinister foreign power, but in reality our own people have turned their backs on God and have instead embraced the gods of this world. God have mercy on our land. Response: LORD God, help us to become agents of change in our land. We want people throughout this country to turn to you in repentance and faith. Open their eyes to their need and your reality. Amen. Your Turn: What will it take to awaken your nation to God? Yes, God have mercy on us in the U.S. too! I agree. Moral decay and turning from God are not confined to just one nation. We need a spiritual awakening that brings us back to the God of the Bible. It sometimes seems that the world is bound for hell in a hand basket, but we as Christians know that God is still in the driver’s seat. It seems to me that even more evil will be unleashed by Satan before the end of time. Things we can’t even comprehend will happen to the human race. We have no idea how bad things had to be when Noah was given the commission to build the ark, but it must’ve been very bad. God has incredible patience, but I wonder how much more He will tolerate. Yes, Lord have mercy on us all.